The Chronicles of Darkness stretch back to the beginning of human civilization, and perhaps further. When people fearfully peered into the darkness past their campfires, the Begotten were looking back. When they opened their mouths and spoke, attaching sound to meaning, the Awakened bound those words in power and light. When humanity was forming tribes, werewolves were communing with their totem spirits. When the first cities arose, the undead licked their lips in hunger. And through it all, forces larger and more dangerous than the whole of humanity worked their dire machinations. Even these forces, though, are subject to the tides of history. 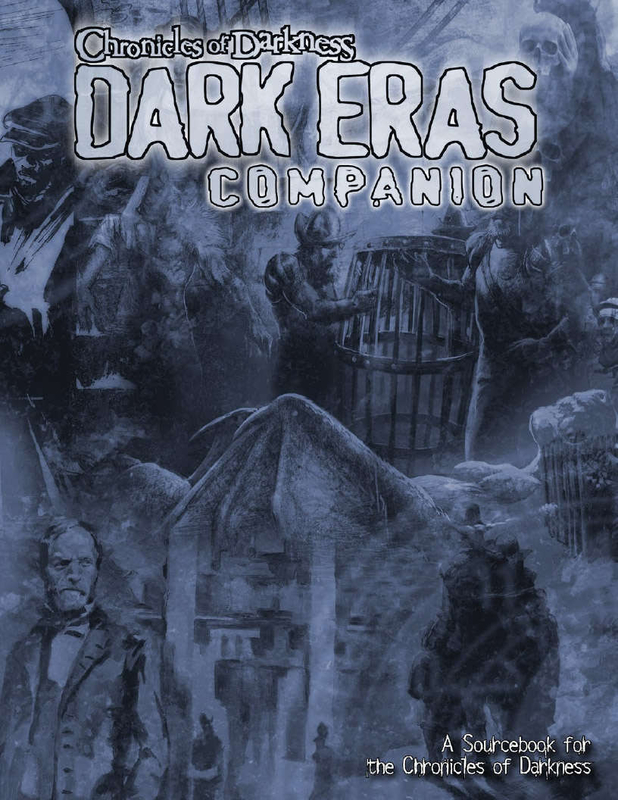 The Dark Eras Companion presents eleven new Eras for the Chronicles of Darkness. Stretching from Ancient Rome and Egypt through the Black Death, the Thirty Years War, the Reconstruction, and the Russian Revolution, the Companion showcases even more of the secret history of this eldritch world. Included in each era are “snapshots” of the various supernatural creatures, including vampires, changelings, mummies, and demons. Also included are lists of inspirational media to help you put these Eras in context for your troupe. Open the Dark Eras Companion and take another look back in time.